After weeks of speculation, the final 28-man roster for Cuba’s World Baseball Classic team was announced this morning in a press conference staged in Havana’s Latin American Stadium. The squad directed by manager Victor Mesa contains a number of surprises, most especially the replacement of Yulexis La Rosa by Yosvani Peraza in the catching corps, the addition of young Industriales slugger Yasmani Tomás to the crew of five outfielders, the selection of an additional infielder (Raúl Gozález of Ciego de Avila), and the addition of pitchers Yadier Pedroso, Diosdani Castillo, and Leandro Martínez. Dropped from the provisional roster announced in mid-January were not only catcher La Rosa, but also pitchers Darien Nuñez, Yulieski González and Vicyohandri Odelín, plus outfielders Rusney Castillo and Yadiel Hernández. Outfielder Yasmani Tomas was easily the biggest surprise addition to Cuba’s final WBC roster. 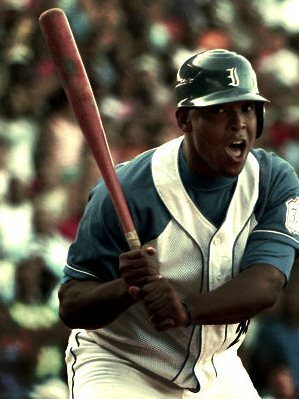 Perhaps the biggest surprise of all was the elimination of Castillo, the batting champion and MVP of the 2011 IBAF World Cup games in Panama. Castillo (Ciego de Avila) has suffered a season-long slump this winter and is not now considered to be in top physical playing condition. The Cuban team will depart on Friday (February 15) for Taiwan where they will begin a series of pre-Classic exhibition games this coming Monday (February 18, versus the Chinese Taipei WBC squad) in Taichung. Could be but my understanding was that they would leave on Friday. At any rate they will travel through Canada and arrive in Taiwan before Monday’s first game.